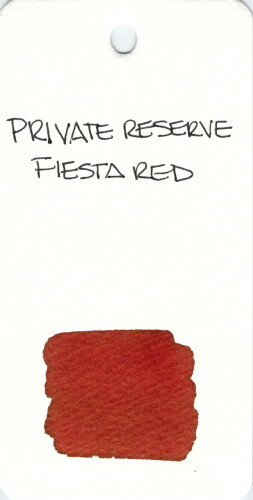 Fiesta Red is a pleasant brown/red shade. I’m not sure I’d call it a party color, but there you go. I store all of my ink samples in a dark cabinet. Fiesta Red is the only ink (that I’ve noticed so far) that has turned a different color. It faded to almost the shade of a band-aid. I don’t know why this happened, but I know that after I saw it, I got myself busy swabbing all of my inks samples. Thank you, Fiesta Red! 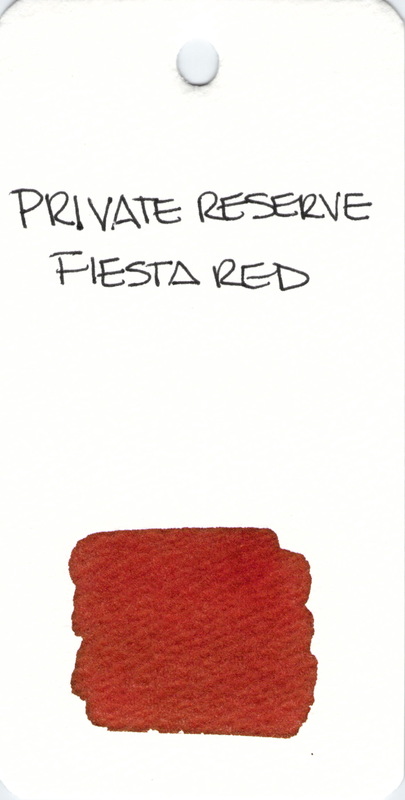 This entry was posted in INKS and tagged ink swab, private reserve, red by Christine (Pentulant). Bookmark the permalink.